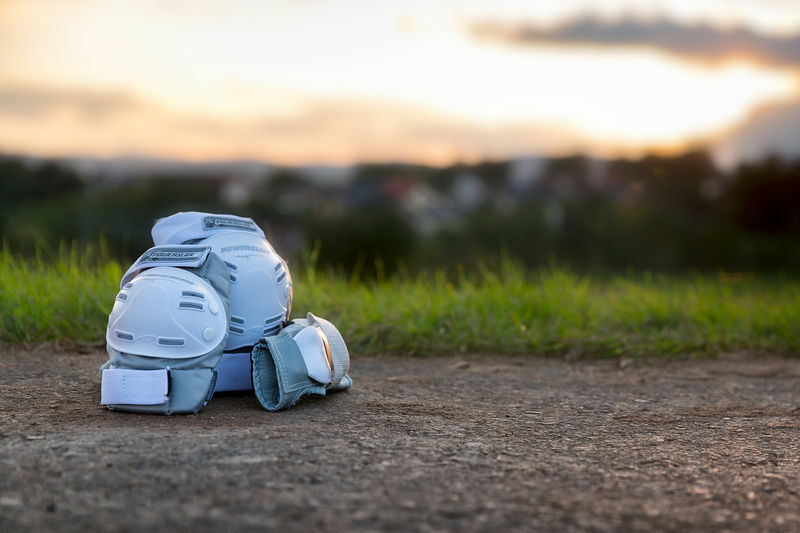 Complete skate protection set for beginners and intermediate users. Knee & Elbow: Anatomical shape, 600D Nylon upper, flat cap for controlled falling, EVA dual density foam, cotton liner, Scott 3M reflective material for safety & double strap system. Wrist guards: Ventilated mesh material, replaceable splint, reflective logo for safety & triple strap system. Great product my only word of warning is if you fall into the upper half of a medium, size up to a large as the knee protection is a bit tight. Not had cause to test out this kit on a tumble yet but they are as described and fit well, as well as looking 'the business'. Good design both in terms of function and style. Very comfortable and durable. If I could change one thing I'd remove the floral motifs but other than that they're excellent!